The war seemed a very long way away to the citizens of Broken Hill that January 1. It was the height of the southern summer, and the Australian silver-mining town baked in the outback desert heat, 720 miles from Sydney and half a world away from the mud and blood of the Western Front. The First World War was less than five months old, and only a fool would have accused the hardened miners of Broken Hill of lacking patriotism, but on that first day of 1915 they wanted nothing more than to enjoy a rare holiday with their families and forget about their troubles—not just the war, which Australia had joined alongside Britain on the day it was declared, but also the grim economic times that were closing mines and putting miners out of work. More than 1,200 men, women and children clambered aboard the makeshift train that would take them a few miles up the line to Silverton for the annual town picnic. But for Broken Hill that New Year’s Day, war was not 12,000 miles away; it was just over a ridge a mile or two along the track, where a couple of Afghans had raised the Turkish flag over an ice cream cart and were preparing to launch a two-man war. The townspeople saw the men as their train pulled slowly up the hill; some even waved, thinking that the two Muslims touting rifles must be going rabbiting on their day off. But as the distance between the ice cream cart and the excursioners closed to only 30 yards, the Afghans crouched, took aim—and opened fire. Elma Cowie was one of four Australians killed during the Battle of Broken Hill. Bullets peppered the side of the train, which consisted of nothing more than flat wagons crudely converted for passenger use with temporary benches. The wagons’ low sides left the picnickers’ upper bodies and heads completely exposed, and at such short range they offered a target too big to miss. Ten passengers were hit before the train driver realized what was happening and pulled out of range; three of those were killed and seven wounded, three of whom were women. 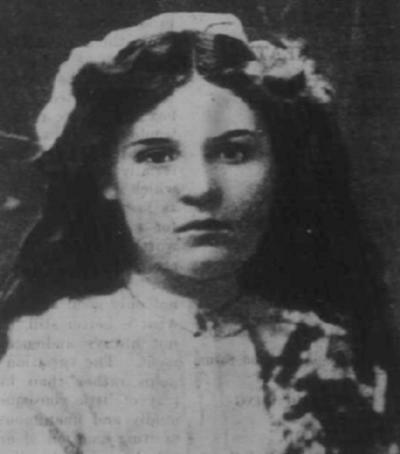 The dead were two men, William Shaw and Alf Millard, and a 17-year-old girl named Elma Cowie, who had joined the excursion with her boyfriend on a date. As the train slowed further along the track, some passengers leaped down and ran for cover, and two headed back to Broken Hill to raise the alarm. Meanwhile, the Afghans took their rifles and and trudged off toward a quartz formation on the horizon. They had chosen it long before as the place where they would make their last stand. To understand why what is known as the Battle of Broken Hill took place at all means understanding why such an isolated outback town had a Muslim population in the first place, and why at least some of the Afghans in Broken Hill felt utterly alienated from the people that they lived among, and loyal to a country—Turkey—that was not their own. The answer to the first question is simple: Afghans had been coming to Australia for almost 50 years because Australia had discovered that camels, not horses, were the best form of transportation in the desert in the years before the coming of the truck. The Afghans knew all about working with camels, minded less about the discomfort and smell, and could be paid far less than white Australians to do the dirty work of shifting goods to desert towns across the outback. 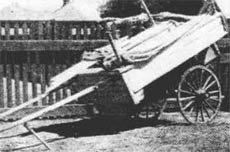 Gool Mohammed’s ice cream cart, used by the Afghans to carry weapons and supplies to their chosen ambush spot. This last point was, of course, a crucial one. Muslim immigrants took jobs that Australians felt were theirs by right, and the local teamsters were highly unionized and made angry by a potent cocktail of fear, racism and hatred. The racism was a product of a deep-rooted sense of white superiority, which crumbled in the face of the Afghans’ competence and toughness; the fear sprang from the way what was loudly proclaimed as “unfair” competition was costing jobs at a time when the economy was shrinking. The simple fact was that most businessmen and farmers cared only that camels could journey through the outback in less than half the time it took a teamster’s wagon, and at a lower price. To make matters worse, the teamsters could not even work alongside the Afghans; their horses were so revolted by the appearance and the odor of the camels that they would frequently bolt on sight of them. Long before 1914, relations between the Afghans and the teamsters had deteriorated across Australia to the point where it was not uncommon for Muslims to have their camps raided and their camels crippled. Fistfights between the two groups became common on roads leading from the main rail heads and ports. Records show that there were also at least six murders committed in Australia as a result of these disputes—one by a white mob and five by one Afghan—and that as early as 1893 the people of Broken Hill had lodged a formal protest against the “unrestricted immigration” of Afghans into New South Wales. The militant socialist editor of the local Barrier Miner newspaper campaigned for years against their presence in the town, publishing a series of incendiary articles in his attempt to drive the cameleers out of the Barrier mining district. Add to all that the Afghans’ different ethnicity and religion, and it is scarcely surprising that they soon became what the historian Christine Stevens terms “the untouchables in a white Australia,” never welcome in the outback towns in which they had to make their homes. Instead they formed their own distinct communities—settlements, known colloquially as “ghantowns,” that clung uncomfortably to the edges of white communities, rarely mixing in any way with them, and certainly not spending the little money that they had with white storekeepers. Each ghantown would have its mullah and its halal butcher, and in Broken Hill the same man performed both these functions. His name was Mullah Abdullah, and he was the leader of the two men now making their way across the desert scrub toward the safety of the quartz formation. The Broken Hill picnic train, packed with 1,200 holidaymakers, that was ambushed on January 1, 1915. It was this last part of Mullah Abdullah’s job that had caused him problems. The teamsters were not the only powerful workers’ group in heavily unionized Broken Hill; the butchers, too, had organized. In the last few weeks of 1914, the Afghan had been visited by the chief sanitary inspector and prosecuted not only for slaughtering animals illegally, but also for not belonging to the butchers’ union. It was a second offense. Fined an amount he could not afford to pay, Mullah Abullah was deeply angered and insulted. 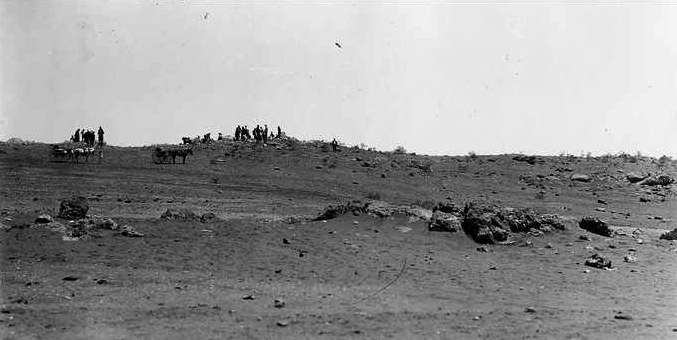 Cable Hill, between Broken Hill and Silverton—the site of the initial attack on the picnic train. The photo shows the scene after the attack. His companion, known by the Anglicized name of Gool Mohammed [Gul Mohamed], was an Afridi tribesman who had gone to Australia as a cameleer some time after 1900. At some point early in the 1900s his religious convictions had taken him to Turkey, where he enlisted in the army of the Ottoman Empire. In doing so, he was committing to serve a sultan who—as master of the Muslim Holy Places of Arabia—also claimed to be the caliph, or spiritual leader, of all Muslims. Gool served in four campaigns with the Turks before returning to Australia, this time to work in the mines of Broken Hill. Losing his job there as the economy worsened, he had been reduced, at the age of about 40, to working as an ice cream man, hawking his wares through the town’s dusty streets. News of the outbreak of the First World War—and of Turkey’s declaration of war on Great Britain and its empire—reached Broken Hill soon after it occurred. 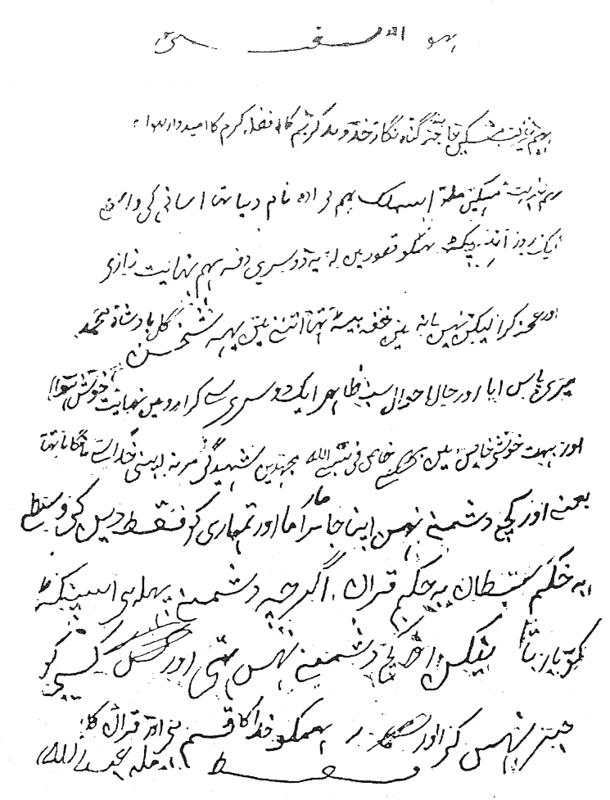 Gool Mohammed’s loyalty to his sultan never wavered; he wrote immediately to the Minister of War in Istanbul, offering to re-enlist, and (an impressive testimonial to the efficiency of the Ottoman war department and the laxness of Australia’s postal censors, this) actually received a reply. For a man in Gool’s position, however—impoverished, far from home and likely to be intercepted long before he could reach the Middle East—the idea of fighting in Australia must have held considerable appeal. 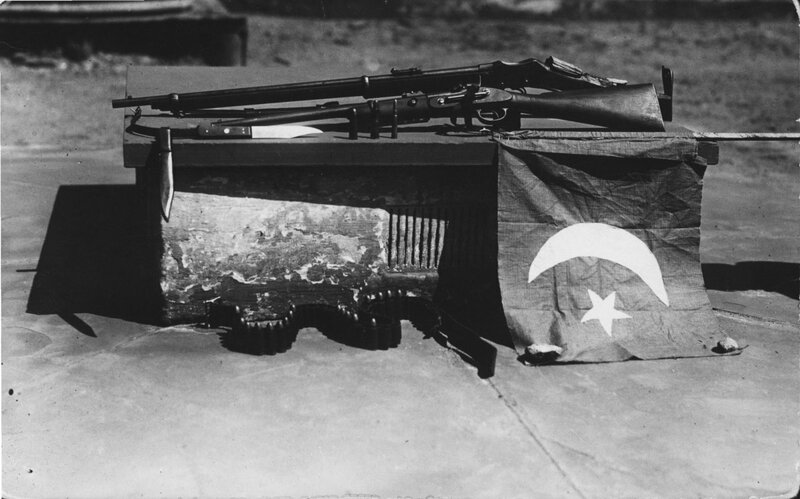 The letter from the Ottomans encouraged him to “be a member of the Turkish Army and fight only for the Sultan,” without specifying where or how. Headlines in the Barrier Miner, January 1, 1915. A note carried by Gool suggests that it was he who inflamed Mullah Abdullah with his zeal to strike back against the Australians. But it was certainly Mullah Abdullah who hand-wrote the suicide notes the two composed before they set out to ambush the picnic train. “I hold the Sultan’s order,” Gool’s note read, “duly signed and sealed by him. It is in my waist belt now, and if it is not destroyed by cannon shot or rifle bullets, you will find it on me. I must kill your men and give my life for my faith by order of the Sultan [but] I have no enmity against anyone, nor have I consulted with anyone, nor informed anyone.” Mullah Abdullah’s letter explained his grievance against the chief sanitary inspector and said it was his “intention to kill him first.” (The inspector was on the picnic train but survived the attack.) Other than that, though, he repeated his companion’s sentiments: “There is no enmity against anybody,” he insisted. as close a parallel to the Keystone Cops of silent comedy days as this country is ever likely to see. One of their two cars broke down and they crowded into the other. They thundered off, standing on running boards, crouched in the seats and approached two men and asked for directions to the enemy lines. When bullets came for answers, they knew that they were close. 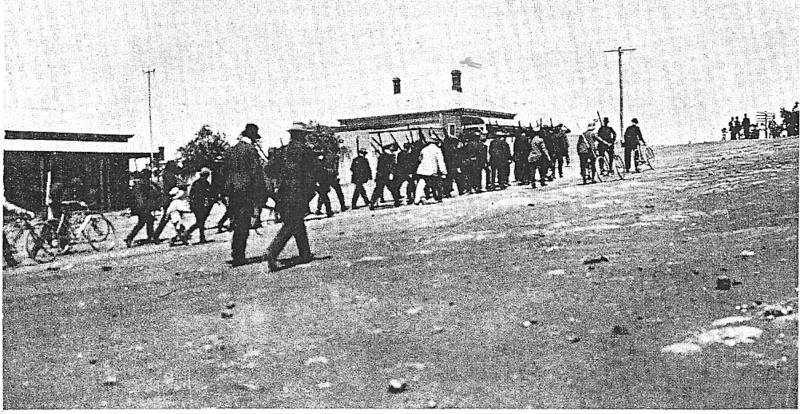 Aftermath: men return to town after the Battle of Broken Hill. Gool Mohammed and Mullah Abdullah each wore a homemade bandolier with pockets for 48 cartridges, and each had discharged only half his rounds into the picnic train. Between them they had managed to shoot dead a fourth Australian—Jim Craig, who had been chopping wood in his back yard—as they headed for cover. The two men were also armed with a pistol and knives, and none of the men who formed up to attack them were anxious to close against adversaries who had all the advantages of cover. Instead, a steady harassing fire was started from a distance and kept up for some hours; the Battle of Broken Hill, as it is known, opened at 10:10 a.m. with the attack on the picnic train, and only ended shortly after 1 p.m.
Mullah Abdullah’s suicide note was found three days after his death in the rocks where he had hidden. Sent to Adelaide for translation, it turned out to contain an anguished account of his persecution at the hands of a unionized sanitary inspector—and a resolution to die for his faith. The indications are that Mullah Abdullah was hit in the head and killed early on, leaving his friend to fight on alone. None of the attackers were killed, and it was not until all fire from the rocks had ceased that Gool Mohammed was found lying badly injured alongside his dead companion. He had been wounded 16 times. Gool was carried back to Broken Hill, where he died in hospital. By then the public mood was turning ugly, and the local authorities posted guards to prevent attacks on the other Afghans in the ghantown. Few of the men there seem to have shown much sympathy for Mullah Abdullah or Gool Mohammed; at least one earned the thanks of the town for carrying water to the men attacking them. Denied the opportunity to wreak vengeance on Broken Hill’s few Muslims, though, the mob instead turned to the town’s German Club. It stood empty—every German in Australia had been rounded up and interned when the war broke out—and it was swiftly burned to the ground. As for the bodies of Gool Mohammed and Mullah Abdullah, two men who had died so very far from home, they were denied to the mob and buried hastily and in secret beneath an explosives store. The Battle of Broken Hill was over, but the war in which the two Afghans had played such a tiny part was still only just beginning. ‘The picnic train attack‘. ABC Broken Hill, February 24, 2011; Australian, January 16, 1915; Barrier Miner [Broken Hill NSW], January 1+2+3+4+5, 1915; Clarence & Richmond Examiner [NSW] January 5, 1915; Northern Territory Times and Gazette, January 7, 1915; The Register, Adelaide, January 8+13, 1915; Patsy Adam Smith. Folklore of the Australian Railwaymen. Sydney. Macmillan of Australia, 1969; Christine Stevens, ‘Abdullah, Mullah (1855–1915)’, Australian Dictionary of Biography, National Centre of Biography, Australian National University, accessed September 18, 2011; Christine Stevens. Tin Mosques and Ghantowns: A History of Afghan Camel Drivers in Australia. Sydney: Oxford University Press, 1989; War in Broken Hill. Collections Australia, accessed September 17 2011. A bit of background information: at that time, Australia had the White Australia Policy in effect, which prevented most non-British people from emigrating to Australia. There were some exceptions, however, such as Afghans and Japanese. This policy slowly ended after the Second World War, initially with other Europeans being allowed in. The Ghan, a major railway in Australia, is actually named after these Afghan workers. The article also mentions the letter being sent to Adelaide to be translated. This is the site of the oldest Mosque still in use in Australia, and was a centre for Muslims in the region, and it’s also very much in the same colonial style of that period (the exterior, at least). This is a fascinating story. There are many more stories untold. I thoroughly recommend a visit to Broken Hill. The sites of this battle have been preserved and there are other things of great interest to Australian history there. The hardships and the deprivations endured by the Afgans and other pioneers amaze. Many forged family relationships with the Aborginal peoples of central Australia. Some of the locals even told me that the actions of the men concerned may have been influenced as much by the toxic fumes in the city as by their other grievances at the time. Apparently, it wasn’t uncommon for men to ‘go mad’ on the fumes. I have never seen any written evidence of this however. It is fascinating that even something as wonderful as ice cream connects with behavior that is particular to humanity’s ill ways. the only reference is the dari one in the article, which also only shows part of the scene, not what happened b4 and after. So I would not believe the story as a whole or as a proof that these guys were good guys or bad. You might be able to argue the semantics of what did or didn’t cause this to happen. However, you would be hard pressed to argue that main events didn’t occur. While it is good to know all the background facts this article does seem heavily sympathetic to the two killers, there were plenty of Afghans who didn’t resort to this sort of thing, and the Mullah should have known better. And Usman there are Muslim references, the records that they wrote in Dari. Found this interesting, in light of current affairs; history is indeed interesting, as long as it does not happen to you. Oddities, striking characters and incidents, strange days... this is history with all the interesting bits left in, by the author of Batavia's Graveyard, Tulipomania and The First Family. "A Blast From The Past is the most interesting, entertaining, and informative blog on the web. Hats off to you, Mike. Carry on." "You can write something and every sentence in it will be a fact, you can pile up facts, but it won't be true. Inside a fact is another fact, and inside that is another fact. You've got to get the true facts. When I got there, I said to myself, 'I don't give a damn what happens, I am going to take my time.'" "I have always imagined Paradise as a kind of library." Jorge Luis Borges, Poem of the Gifts.